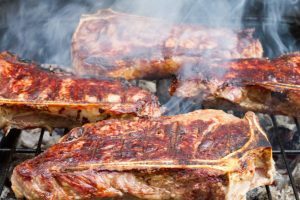 When looking for the best 3 burner gas grill to buy for your regular grilling, baking, and searing requirements, you are bound to come across a lot of options. 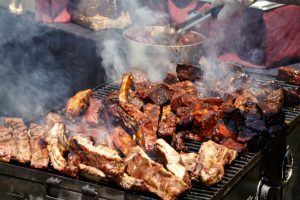 This is supported by the fact that ever since gas grills overtook charcoal grills in popularity, they have only become better in design and functionality. There is such a wide variety of 3-burner gas models on sale today that choosing can prove quite complex. 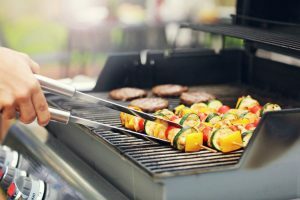 After much research on the best 3-burner grill brands, the Weber Spirit 3-burner propane gas grill caught our attention for its unique features and user reviews. 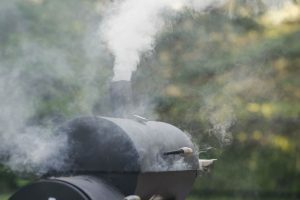 The Weber brand has long been known for its quality grills, and the Weber Sprit, like its other models, is no exception. Sporting a new and efficient design that features the burner knobs at the front and a clear fuel gauge indicator that allows easier monitoring, the newly redesigned Weber Spirit E310 is now more than just a grilling device. With dimensions of 63(L) × 60 (H) × 32(W) inches and weighing 130 pounds, this gas grill easily fits the size, weight and space requirements of most buyers today. 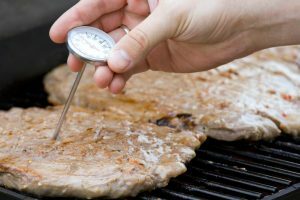 Below is a review of its features and design, done to gauge its functionality over other gas grill models. Very easy to assemble with the help of a clearly illustrated manual. Some major parts such as the firebox and gas line come pre-assembled. The cast iron cooking grates enameled with porcelain are easy to clean after use and have high heat retention abilities. The porcelain also prevents the grates from peeling. 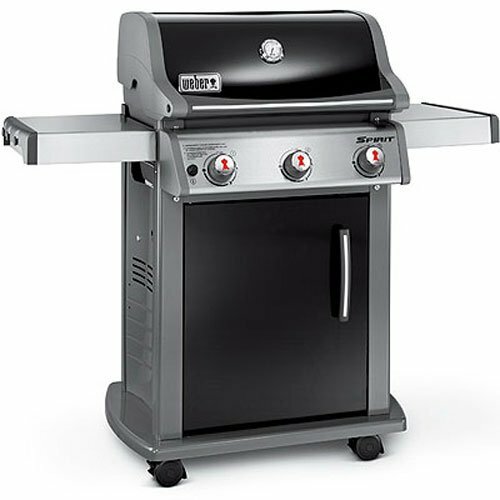 The Weber Spirit propane gas grill is supported in its functionality by its assortment of unique features and superior design, both synonymous with the Weber brand. Like many other technical products, it is sold with its parts disassembled, but assembling them isn’t difficult, thanks in part to a well-illustrated manual and quick customer service. Its usability is facilitated by features including a good electric (not battery powered) ignition system that enables it to rise to up to 500 degrees in 10 minutes or less, and a superior design that allows the users to easily increase or lower the heat. Its ability to retain the heat for long is another attribute that guarantees well-cooked food every time. Its cast iron cooking grates are not only porcelain coated; they also leave very beautiful sear marks on the meat. At 360 sq. inches, its cooking area is wide enough for easy cooking, while its strong, collapsible side tables and stable trays are as much evidence of its space provisions as of its sturdy construction. After fitting the propane tank, the clear fuel indicator provides real-time reports of the gas flow, depending on the tank’s weight. The Weber Spirit is in many ways one of the best 3 burner gas grills on sale today. 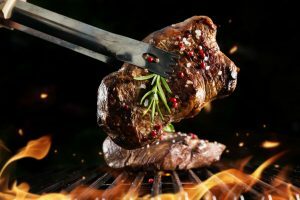 In comparison with many other popular gas grills, the Weber Spirit gas grill fares favorably in most categories, thanks to its good design and assortment of sturdy, functional features. Its closest competitors in both design and functionality include the Weber Genesis E330 and the Napoleon Legend LA300 gas grills. The Napoleon’s 58500 BTU is greater than the Weber Spirit’s 26,500, which translates to more burner power. They do share a similarity; both models are designed with sturdy construction that is durable and strong. The Weber Spirit is priced much lower than the Napoleon LA300; nevertheless, the latter comes with a wider primary cooking area of 405 sq. inches, a little over the Weber Spirit’s 360 sq. inches. When comparing their heat gain after ignition, the Weber Spirit’s jump to 500 degrees in under 10 minutes is better than the Napoleon’s, while the latter does more in the way of heating with an additional infrared rear burner. Both models come with electric ignition, complete with knobs for heat control. Feature wise, the Weber Spirit’s fuel gauge indicator, high quality cast iron cooking grates and fold down trays fare favorably against the Napoleon LA 300’s infrared rear burner, JETFIRE ignition, and drip pan. The Napoleon’s cast iron Wave cooking grids perform as well as Weber’s porcelain enameled cast iron cooking grates, as do the 3 burners each model has. 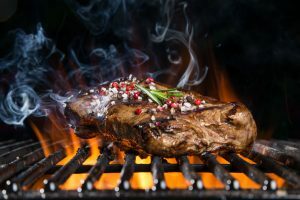 It’s best to assume that the biggest requirements anyone can have a gas grill include usability and functionality, which are in turn supported by good design, useful features, appropriate sizing and space usage, good heating and ignition etc. 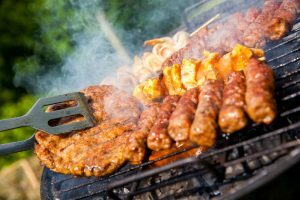 These are the features the ideal gas grill should possess if it is to rank among the best. The Weber Spirit propane gas grill is more than just ideal. As evidenced by the features shown above and the results of its comparison with other models, it is a product in a class of its own, thanks to superior construction, thoughtful design, and easy functionality. 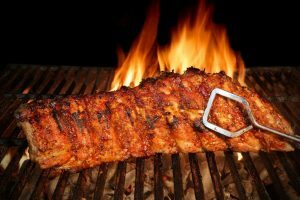 With qualities including easy ignition, quick heat up rate, easy heat management, and high heat retention, the Weber Spirit facilitates both direct and indirect cooking and guarantees well-cooked meats, fish, vegetables etc. throughout the course of your usage. The fact that you can assemble it easily on your own is an added advantage. Its high price is supported by the high-quality features, easy usability and top notch functionality that you won’t get from other gas grills anywhere. If you’re looking for a gas grill that is designed to be basic while meeting your daily grilling requirements, the Weber Spirit is the gas grill is a good buy.